Over the weekend it finally started to feel like spring here in the northeast! Temperatures rising and days of driving rain followed by long spurts of sunshine. Just what I love this time of year! This time of year is also when I start thinking about planting spring seedlings for what will eventually become the backyard garden. Because we’re still a couple months out from being able to actually plant outside, pretty little planters are my favorite way to start the gardening season. 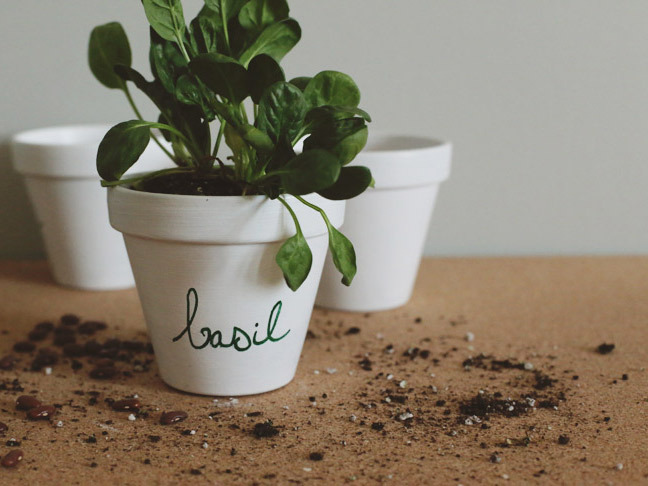 Today I’m sharing these sweet and simple DIY seedling planters, which also double as perfect herb containers for your kitchen! The supplies for this project are super simple! 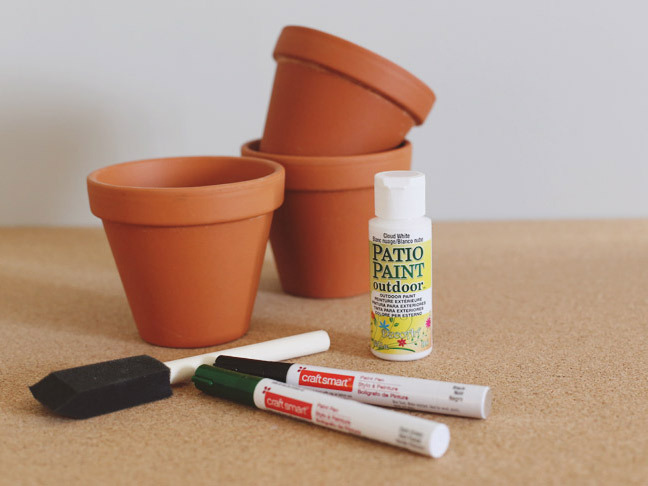 You’ll need small terra cotta planters (I found mine at Michaels for right around $1 each), craft paint (any brand will work—just make sure to pick a satin or flat finish versus something glossy), paint pens, and a paintbrush. 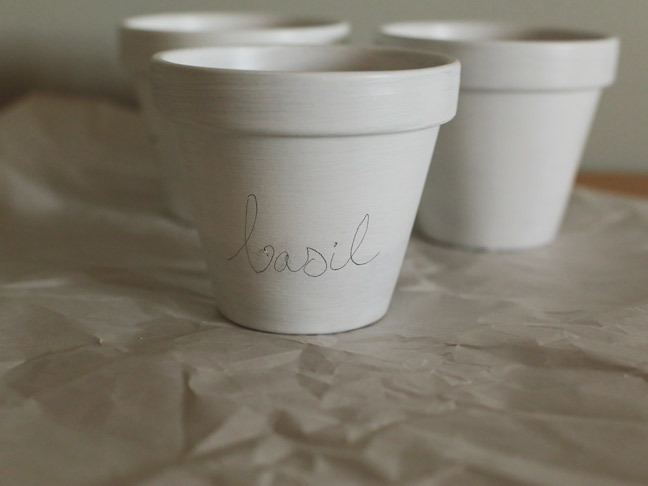 In an hour or two (including drying time) you’ll have the cutest seedling planters going! 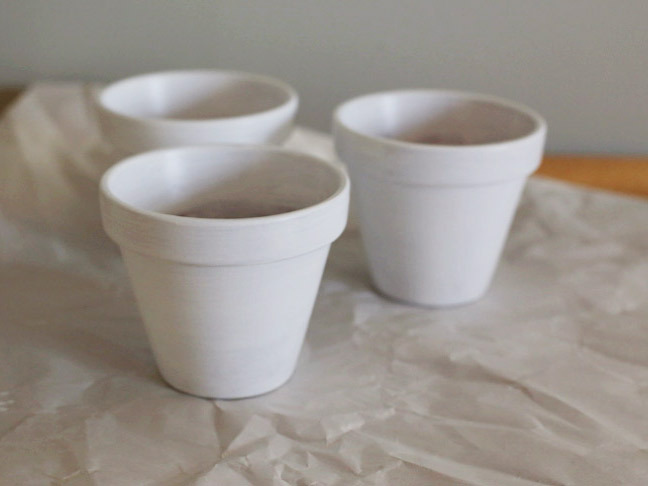 Step 1: Begin by giving your planters a coat of white paint. You can use an inexpensive foam craft brush for this and just paint away! 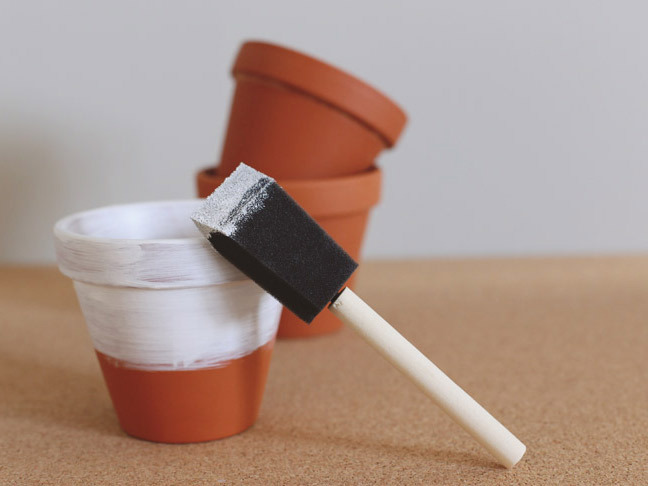 Keep the first coat light, and don’t forget the bottom and the inside lip of the planter. Step 2: Add additional coats of paint, allowing each coat to dry in between. I allowed about 15 minutes between coats. Multiple thin, light coats are the way to go to keep the finish from looking too gloopy and to prevent the paint from dripping or running. Once you have the paint cover you want, allow to dry completely for an hour. 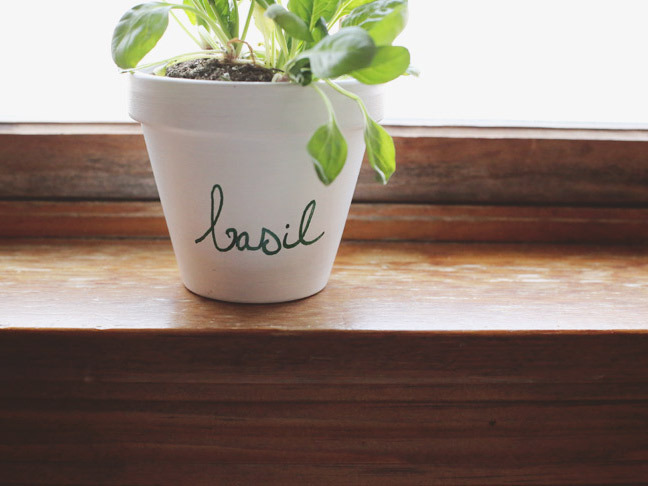 Step 3: Once the paint is complete, use a pencil to sketch the name of each seedling or herb you’ll plant onto your planters. 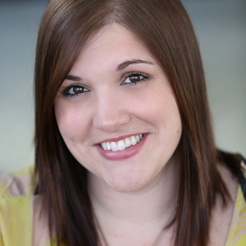 Loose and slightly quirky is better, so don’t overthink this step! I love the easy, handwritten look. Follow over the pencil with a broad-tip paint marker and allow to dry. And you’re done! Aren’t these just sweet? 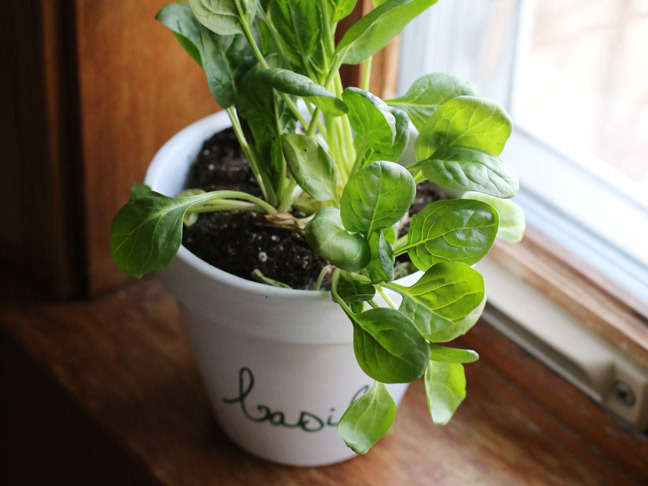 I have mine lined up along the windowsill in our kitchen, and I can’t wait to get our real garden growing soon. 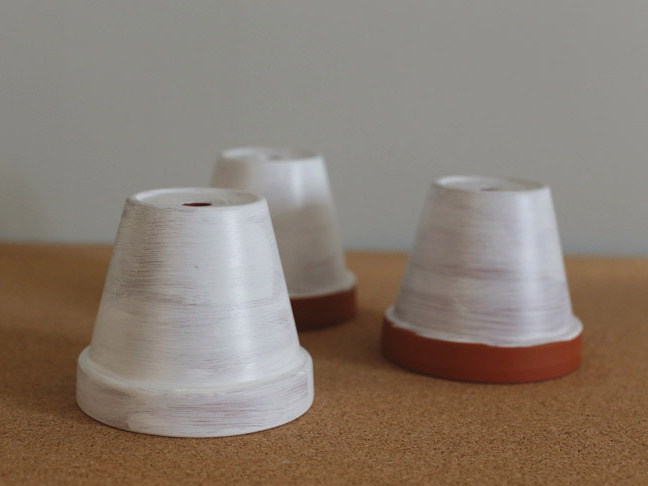 Also I just love that these are so easy to make and so inexpensive and yet so much prettier than a boring terra cotta planter. Hooray for spring!